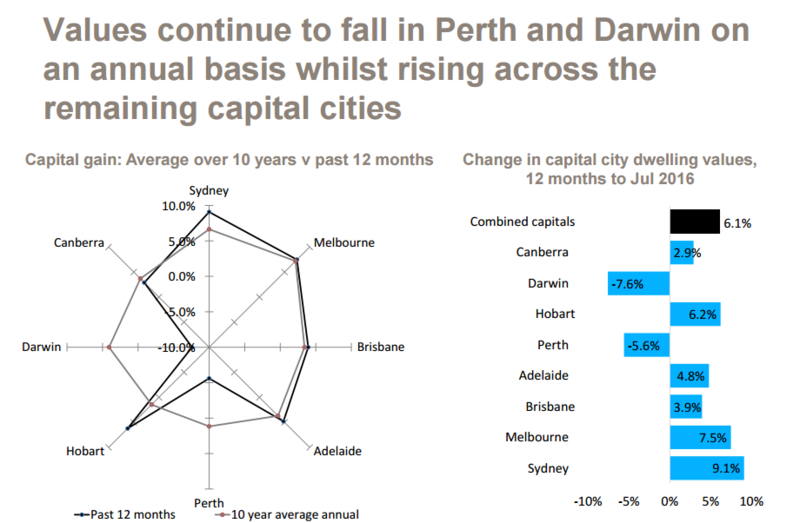 Aggregated data for the 8 capital cities indicate that dwelling prices bottomed out during May 2012 and have since expanded fairly consistently in all capitals apart from Perth and Darwin. Overall, detached house prices increased by close to 40.0% across the eight capitals between May 2012 and July 2016. 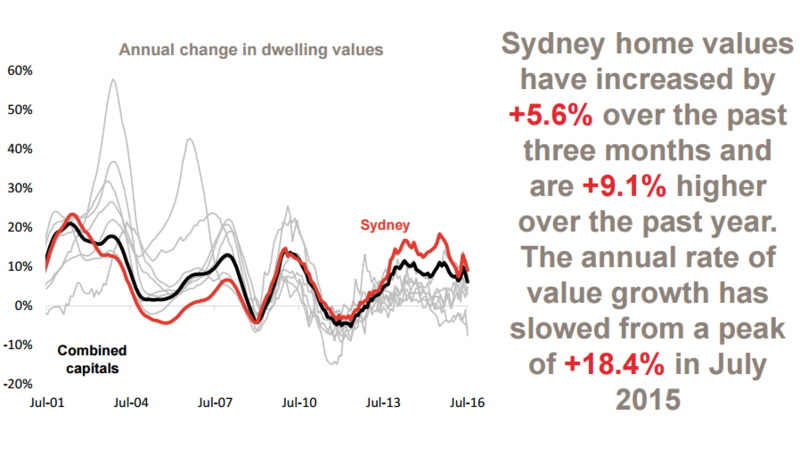 The largest house price rise occurred in Sydney over this period (+65.7%), followed by Melbourne (+45.2%) and Brisbane (+18.6%). 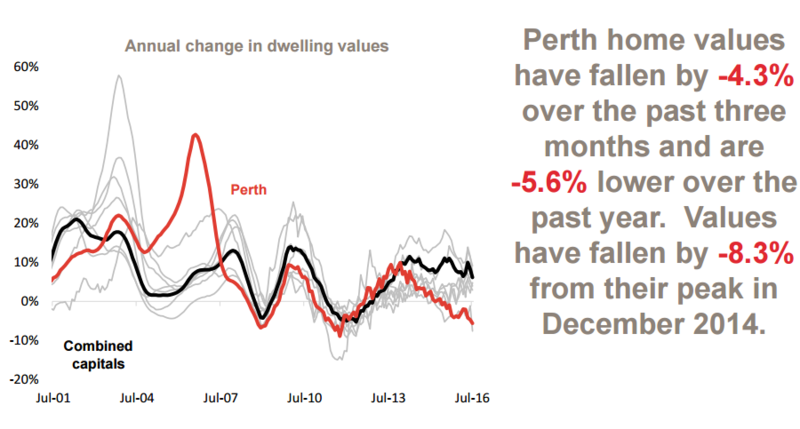 In contrast, house prices in Perth and Darwin have fallen back since reaching their peaks in 2014. 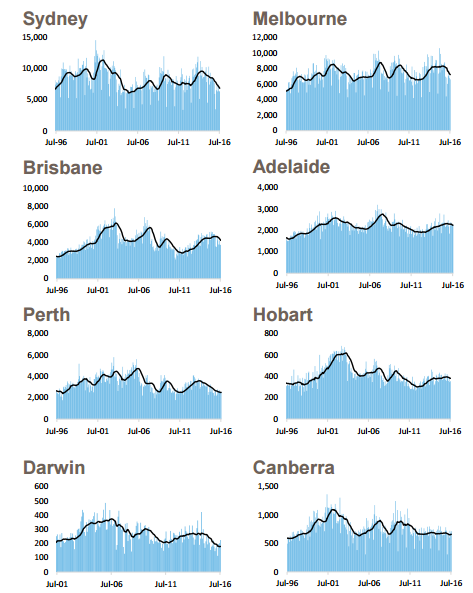 Perth house prices have declined by 8.3% while Darwin house prices are down by 11.8%. 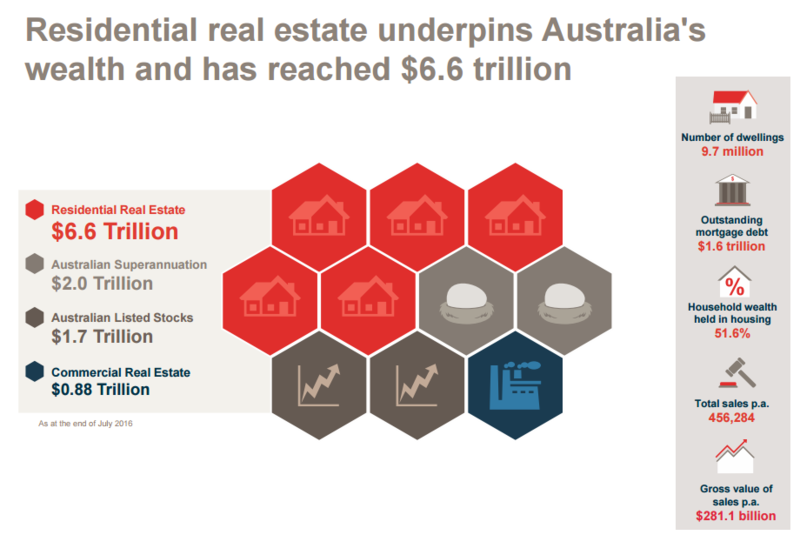 Just to put things into perspective: the Australian property market is valued at around $6.6 Trillion and is significantly larger than all the listed stocks on our stock exchange and virtually 3 times bigger than our Superannuation Industry. Clearly our markets have entered the next stage of the property cycle, with capital growth slowing to a much lower rate than in the last few years. 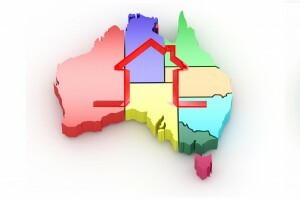 While values are still rising, four of Australia’s eight capital cities recorded a fall in dwelling values over the month. Simultaneously, the rate of growth across the combined capitals aggregate index slipped back a notch after bouncing higher in April and May. The annual rate of growth, which hit a recent peak at 11.1 per cent across the combined capitals index in October last year, is now tracking at 6.1 per cent; the slowest annual rate of appreciation since September 2013. July marks the 50th month of the combined capitals growth cycle, which commenced in June 2012. 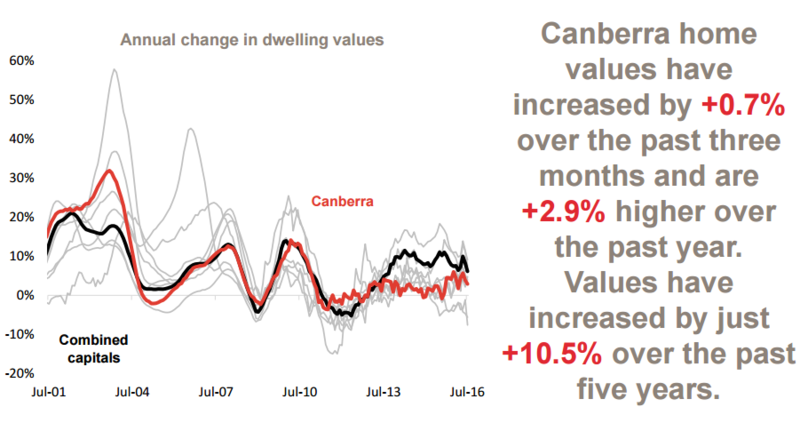 Over the cycle to date, capital city dwelling values have risen by 38.3 per cent. The recent moderation in the rate of capital gains should be viewed as a positive sign that growth in dwelling values may be returning to more sustainable levels. However, the growth trend rate is still tracking considerably faster than income growth resulting in a deterioration of housing affordability. The erosion in housing affordability is likely to be one factor working to slow housing demand across price sensitive market segments. As you can see in the following graphic capital city vary greatly, with the Sydney property market the strongest market in Australia again. 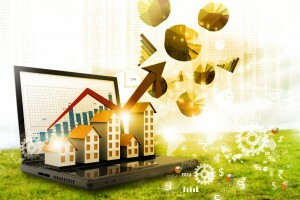 As the housing market moves through its fourth year of growth, several other measures are potentially indicating that buyers may be starting to gain some leverage in the market. 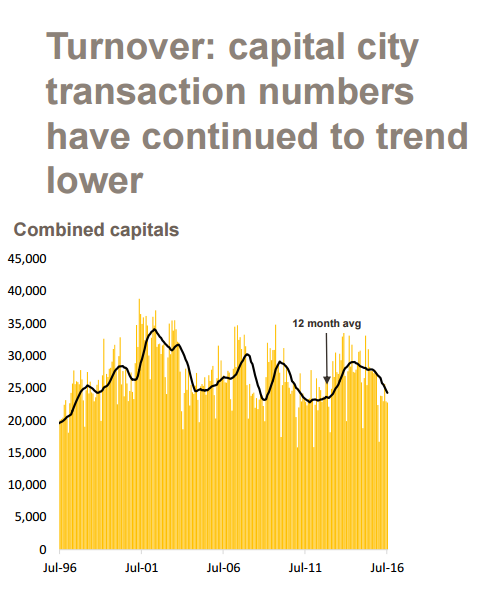 The number of dwelling transactions across the capital cities has been trending lower, with total dwelling sales over the most recent three month period now tracking 17.9 per cent lower than at the same time a year ago. THE RENTAL MARKET IS WEAK. The recent fall in weekly rents has pushed capital city rental yields to a new historic low of 3.3 per cent with the Melbourne property market now recording the lowest gross yield for houses at 2.8 per cent, while Sydney now shows the lowest yield profile for units, averaging 3.9 per cent gross. 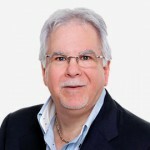 While low yields haven’t been enough to deter investors, if the pace of capital gains continues to trend lower, low rental yields are likely to lead to financing challenges due to tighter serviceability requirements and the impact on cash flow, not to mention a potential increase in rental supply resulting in higher vacancy rates. The average selling time is also pushing higher, with capital city dwellings now averaging 47 days to sell compared with 42 days a year ago. 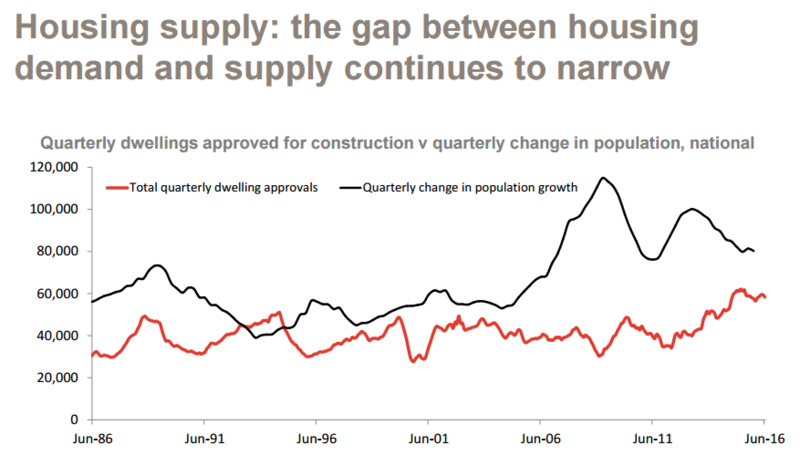 Sydney properties are now selling in 40 days on average, which is two weeks longer than a year ago. As homes take longer to sell, vendors are starting to apply larger discounts to their asking prices. Potentially, as buyers gain some leverage in the market and vendors become more flexible in their pricing expectations, this will assist in alleviating price pressures from the hottest markets such as Sydney and Melbourne. Auction markets are yet to show a slowdown. Listing numbers have also been reducing; however this is mostly due to fewer newly advertised properties being added to the market, which suggests that vendors are not quite as confident as they were a year ago. 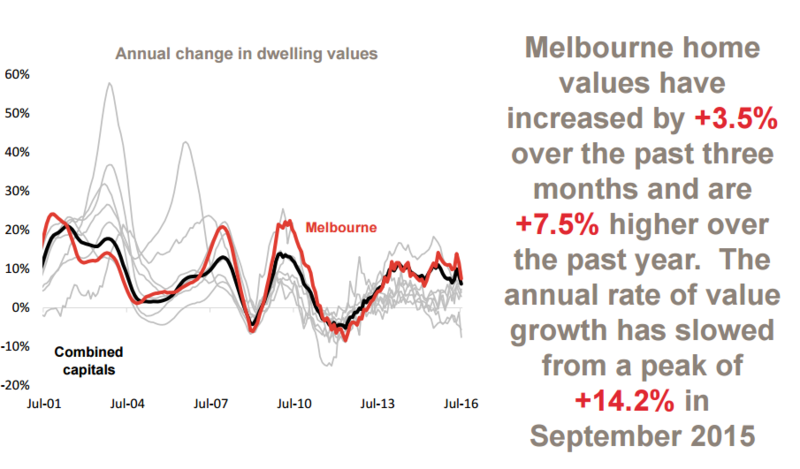 The Melbourne property market performed strongly over the last 12 months, but this year capital growth has slowed to a more sustainable level. Strong population growth (around 1.8% per annum) and a relatively strong economy creating more jobs have underpinned the Melbourne property market. 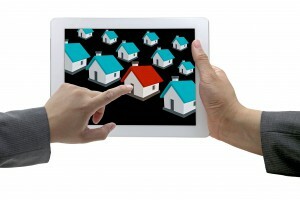 Brisbane’s property market has confounded those “hot spotters” who were predicting it to be the place to be this year. 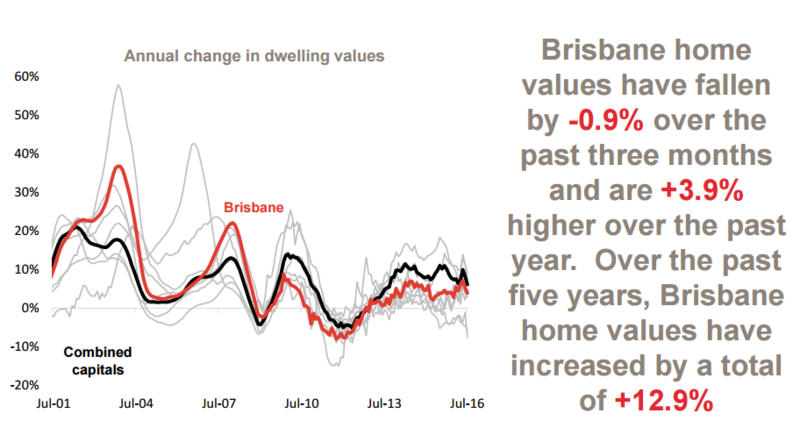 While overall growth has slowed a little, the Brisbane market is very fragmented and there are still some areas that are performing respectably and have good investment prospects. 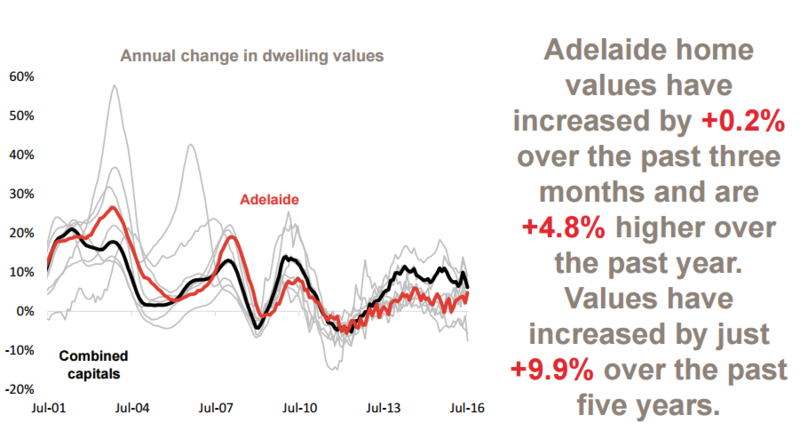 Adelaide property values increased a respectable 4.8% over the last year, finally playing a little catch up. The little flurry Adelaide experienced at the beginning of the year seems to have run its course and house prices have only increased 9.9% over the last five years. Similarly there are few growth drivers for Hobart property prices, and even though some commentators are suggesting it’s a good place to invest “because it has to catch up”, however with minimal population growth and slow economic growth there seems little reason for property values in Hobart to grow substantially. 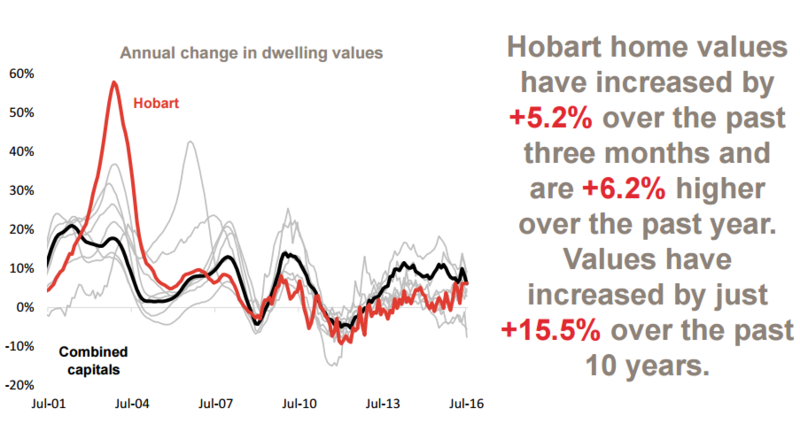 While Hobart property values are 6.2% higher than 12 months ago, Hobart has underperformed over the last decade with property prices only increasing 15.5% over the last 10 years. 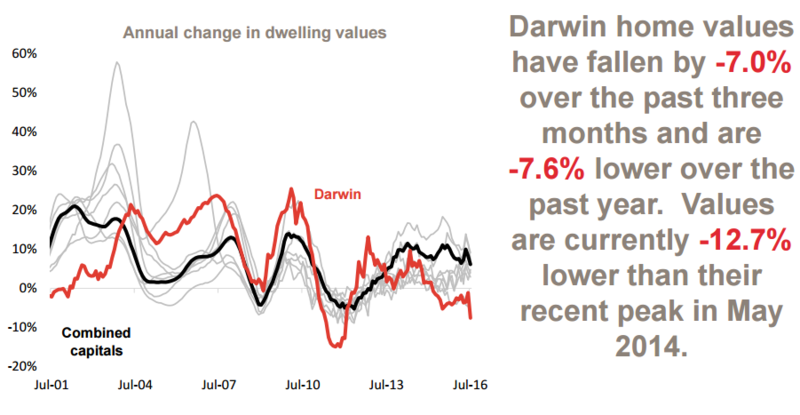 Darwin property values are 7.6% lower than they were 12 months ago, and like Perth, I believe there is more down side yet to come. The rate of population growth has continued to slow due to fewer overseas migrants, with Victoria receiveing the highest percentage of migrants and this has helped fuel its proeprty markets. 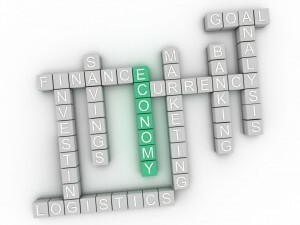 The unemployment rate has fallen a little further which is good for consumer confidence. 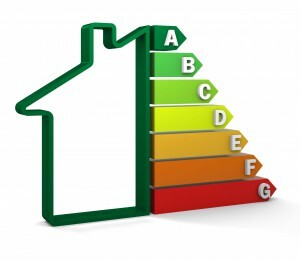 The Reserve Bank lowered interest rates again at the beginning of the month. While I expected consumer confidence to slowly pick up now that the result of the Federal Election has been confirmed, but this doesn’t seem to have happened yet. 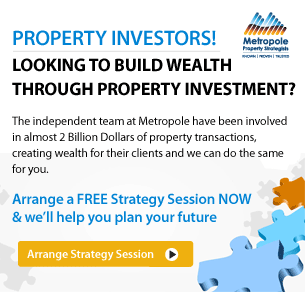 If you’re looking for independent advice on how to build a property portfolio that will outperform the markets, no one can help you quite like the independent property investment strategists at Metropole.